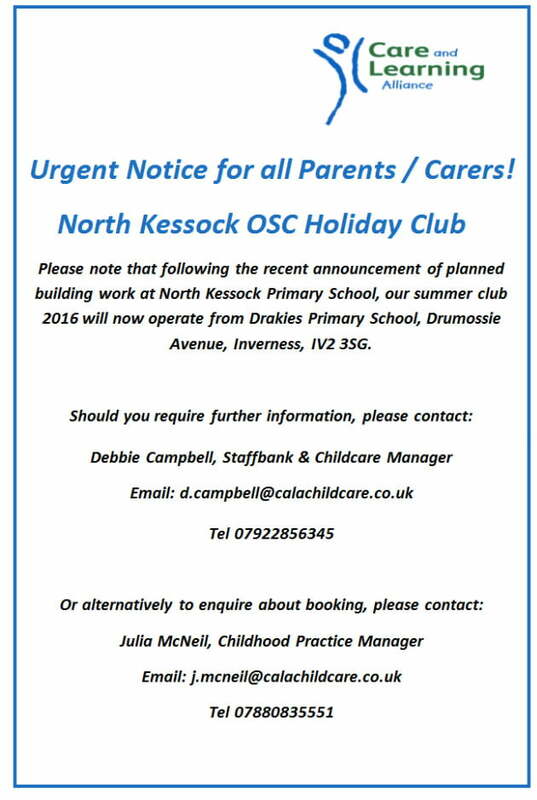 For more information, please contact Emma MacRae (Manager, North Kessock OSC). If you require any further information, please use the contact numbers above. Or you can call our Inverness office on 01463 222569. Click here to download this flyer as a PDF. Debbie has sent through North Kessock Red Kites’ May Newsletter. It includes a little introduction to the staff team, the fee paying policy, dates for your diary, and more. Download the newsletter by clicking here [MS Word]. Debbie also sent through a parent consultation form, in order to get a better idea of what dates parents would prefer for summer holiday opening dates. Download the consultation form by clicking here [MS Word]. Download the booking form by clicking here [pdf]. Download the planner by clicking here [pdf]. Download a PDF version of the planner by clicking here. North Kessock Red Kites have sent over their October Holidays planner. They’ve got loads of fun stuff planned for the holidays, including a talent show, face painting, and trips to the park. Click here to download the planner, or click here to download the booking form. Please note that this holiday club is also open to the children of Culbokie Fun Club. North Kessock Red Kites have been in touch with their summer 2016 planner and booking form. Places are limited, so book soon to avoid disappointment! Click here to download the holiday planner, and click here to download the booking form. Children have chosen activities for the summer please bear in mind they may change. Within the Club you will see the daily plan staff will keep you informed. Looking forward to a fun filled exciting summer holiday. You can download the summer activity planner by clicking here.